One of my favorite gifts I received this holiday season is an engraved bottle of Johnnie Walker® Blue Label® Blended Scotch Whisky. This luxury Scotch Whisky is the ultimate gift for your New Year's Eve host or the perfect bottle to open and celebrate the new year with! Johnnie Walker® Blue Label® is the rarest and most exclusive blend from the House of Walker. Tasting notes: The nose has hints of smoke, sherry and fruitcake, while the body is soft and mellow with sherry, honey and vanilla notes. It has a bold intensity of peatiness with dark chocolate overtones. The perfect serve of Johnnie Walker® Blue Label® is to refresh the palate with a glass of ice-cold spring water and then take a slight sip of the cherished whisky from a snifter. Serving not to exceed 1.5ozs. Johnnie Walker® Blue Label® offers a year-round complimentary personalized bottle engraving service is offered, with each bottle individually numbered. 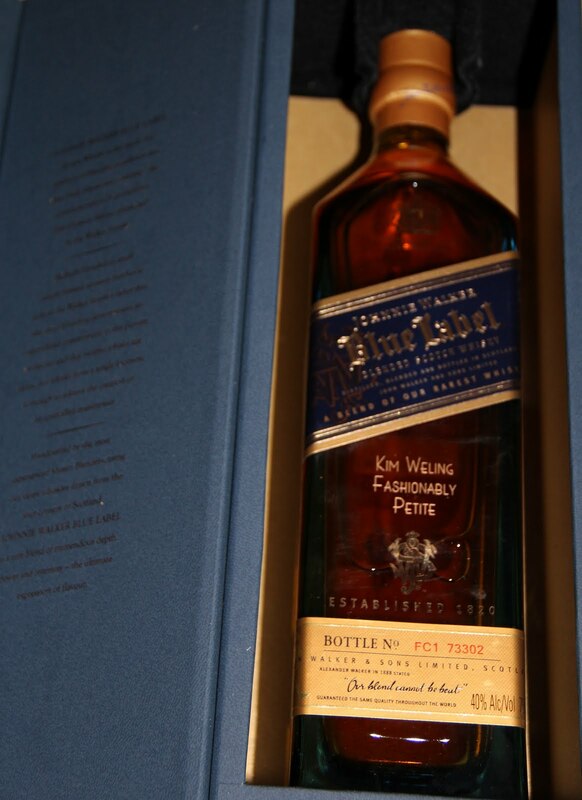 Engraving is available on Johnnie Walker Blue Label 750mL or 1.75mL bottles. Regional engraving is available via 1-877-Spirits.com/BlueLabel. 750mL bottle retails for $225. 1.75mL bottle retails for $525.